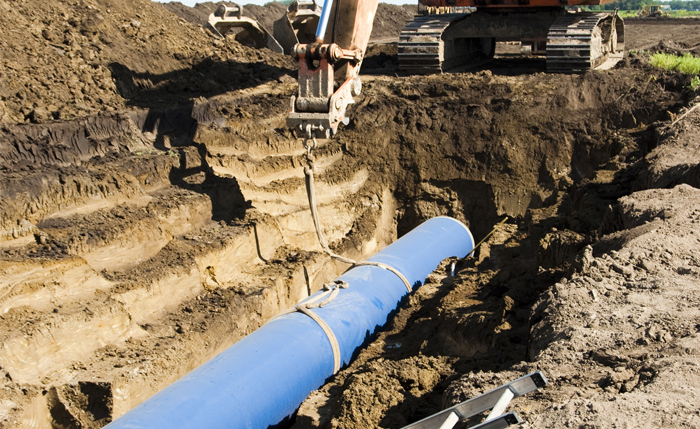 The efficient development and construction of oil & gas pipelines and distribution facilities is crucial to keeping up with the ever-rising demand for energy. To ensure your projects are completed on-time and under budget, you need professionals with tremendous expertise and knowledge of the industry. Unfortunately, the time consuming, resource draining process of finding capable, dedicated professionals is often too arduous and costly to be done internally. With hands-on industry knowledge and the trust of hundreds of construction companies concentrated on energy, The Newport Group will find the right fit for your oil and gas construction enterprise. Our pipeline recruiters work with you to ensure your talent is the right fit for your organization’s needs. 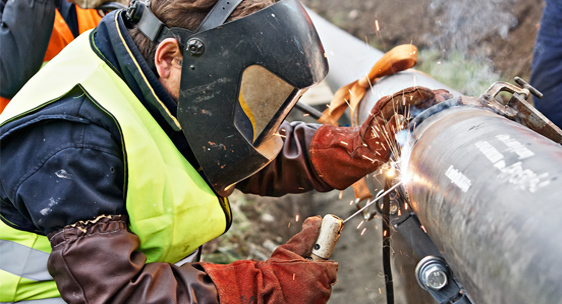 We’ve partnered with companies in virtually every application of oil and gas construction—cross-country infrastructure and utilities for midstream oil and gas operators, gas pipeline replacement, maintenance and repair, oilfield facility construction and maintenance, heavy highway and transportation infrastructure—you name it, we develop human capital strategies for it. Better yet, our commitment to the industry goes beyond traditional executive search methods. We’re active in associations like, INGAA and the Utilities Infrastructure division of AGC giving us access to the most accomplished individuals in the market, and the sense to know what it takes to attract them to new opportunities. Learn more about the roles we’ve helped place for our upstream clients, and the cost-effective executive search program that sets us apart from other executive search firms, The SMART Search Process™ by downloading our digital Upstream Executive Search Overview. Click the button below or the image to download it now. 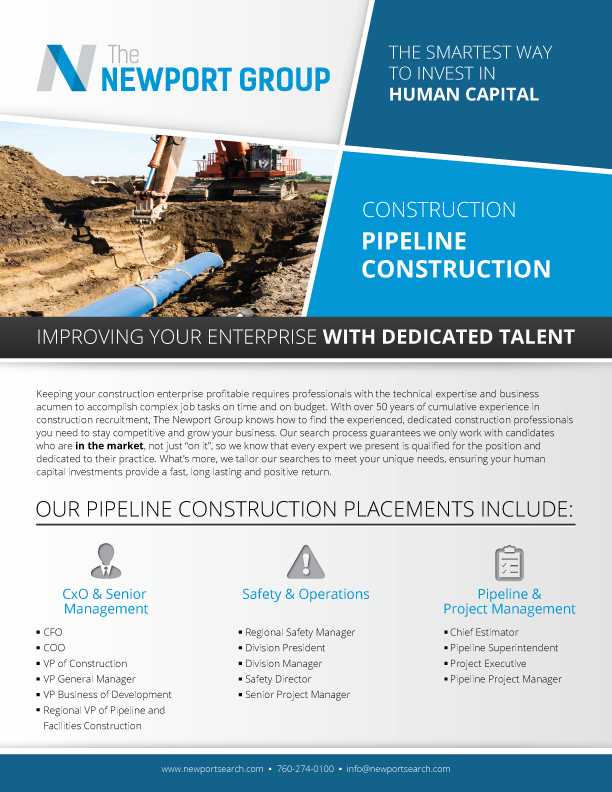 Contact us now to have our Pipeline Recruiters connect you with the right opportunity.